The Liberal Party of Canada changed the way that it chose its leader by introducing the free, "supporter" category for new members. The move was viewed by some as dangerous. What the party faithful may not have realized was that the Liberals were kicking off a grassroots strategy that would strengthen the party. Jordan Ray Victoria native and Toronto newcomer. Public Affairs at Enterprise Canada. Three and a half years ago in Ottawa, the Liberal Party of Canada changed the way that it chose its leader by introducing the free, "supporter" category for new members. The move was viewed by some as dangerous -- one that would anger rank-and-file Liberals. 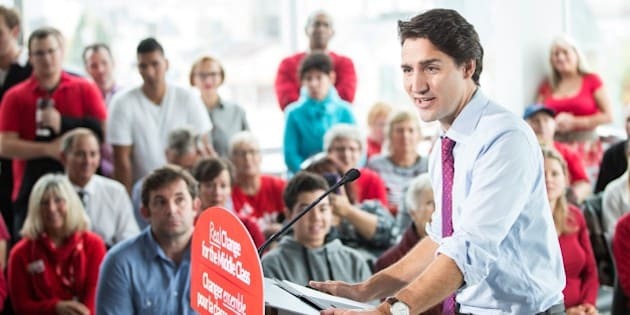 What the party faithful may not have realized was that by making it easier for new members to join the party, the Liberals were kicking off a broader grassroots strategy that would strengthen the party by engaging Canadians and inviting them into the political process. I know from my experience volunteering on provincial and federal Liberal campaigns and working in public affairs that a "grassroots strategy" isn't just feel-good political jargon -- it actually works. Take the leadership race for example. An ordinary leaders contest is about who can sell the most memberships. This race was different, because you didn't have to buy a membership to vote. Supporters signed up by the nine candidates only had to provide their name and email address to be eligible, so voting was free. By lowering the barriers to entry for Canadians, leadership candidates were able to build a database of 300,000 Liberals. While this didn't help the party's finances, it created a powerful tool to reach out to each person who had signed up as a Liberal supporter. Open nomination races to carry the Liberal banner across the country fueled data collection as well. Would-be candidates competed to sell the most party memberships in their ridings, as only members are allowed to vote in nomination races. This resulted in a massive haul of data from newly registered members. The party was not only more open in choosing its leader and its candidates -- it also became more open in welcoming new volunteers. I know from my own experience that the Liberal Party has never felt more open and welcoming. Maybe the personal charisma of the leader drew throngs of volunteers, or perhaps the more open leadership and nomination races engaged Canadians. Whatever caused this cultural shift, it resulted in 80,000 volunteers flocking to Liberal ranks. There were so many volunteers that when the election started, door-to-door canvassing went into overdrive. The Liberals say that by the end of the campaign, they had knocked on doors 11 million times. Aided by a smartphone app that allowed volunteers to move from clipboards to mobile phones, canvassers collected data from every voter they met. Data is usually simple -- if the person plans to vote Liberal, observed age range, gender, etc. But conversations with voters can reveal other information, like policy priorities or views about the party leader. Even simple data like names and emails become powerful tools for political parties when collected in large numbers, allowing parties to keep in touch with members and ask for donations. A large email list also allows parties to test their message. It's as simple as sending out two different emails asking for money and using software to track which email results in more donations. Data makes testing even more powerful. The more data you have on somebody, the more you are able to tailor your message and target them specifically. Take me, for example. I am a single, white male in the 24 to 29 year age group. Knowing this, you might guess that a message emphasizing families will not be quite as effective on me because I don't have kids. Focus on student debt instead -- now you're talking! Once you have your target and your message, the data collected through the leadership contest, nomination races and door-to-door canvassing allows you to locate your targets and deliver your message to whatever contact information you have for them. Email, direct mail, Facebook ads, even regional media appearances can be targeted with a tailored message. For example, I heard from the campaign team in one riding that Liberal canvassing data had revealed voters were undecided and showed strong concern about the environment. They responded by delivering a card highlighting the Liberal environmental platform and to target homes. The Liberals won that riding. Their success there and across the country shows the value of a modern grassroots campaign strategy. Engaging voters allows you to collect data from them. This data then can be used to give those voters a reason to give their vote, donations, or their time to your campaign. The Liberal victory on October 19 goes to show that opening up party politics in not just a principle to be pursued -- it is a critical part of a modern campaign strategy.